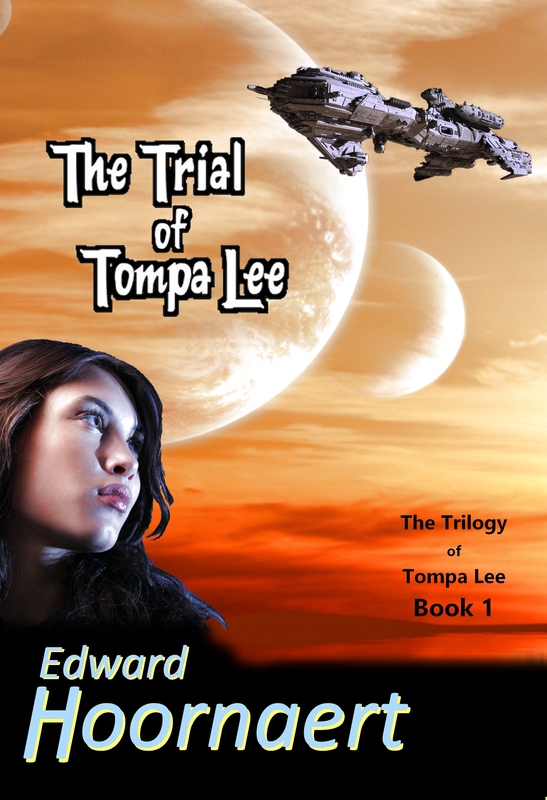 Big news for fans of my most popular science fiction novel, The Trial of Tompa Lee: I’ve designed a new cover. The new cover has more family resemblance to book 3, The Triumph of Tompa Lee, and to the three-books-in-one edition. When I have another stretch of time when I need a break from writing or editing, I’ll get around to redesigning book two, The Tribulations of Tompa Lee. Read an excerpt from The Trial of Tompa Lee. I’ve always been particularly happy with the names of the books in this trilogy. Tompa has Trials, Tribulations, and then a Triumph. The books even align properly in alphabetical order. And then Trilogy fits the ‘TRI-‘ pattern perfectly as well — The Trilogy of Tompa Lee. You’d think I planned it that way, but nope. I didn’t begin the second book, Tribulations, until six years after Trial was published. This book has had two previous covers, one by the original publisher, Five Star Speculative Fiction (at left), and one that I designed when I re-released the book (at right). Is the new one an improvement or a step backward?